The time is upon us. Summer is here! The school holidays are about to start. Seven weeks of entertaining the crew – what to do?! #GoIndustrial have a few ideas to keep the family amused over the summer in our venues across Scotland. Almond Valley by Livingston is inviting families to builds dens on site all summer long! Lots of fun to be had in the sun – and included in admission! Verdant Works in Dundee has a whole host of events, including movie screenings, workshops for wee ones, and a WWI family day and an Indian Summer family day too. PLUS there are events for adults too, with more movie screenings, a journal-making workshop and musical performances fortnightly. If a Day Out Wirth Thomas the Tank Engine sounds like your thing, don’t miss him at Bo’ness & Kinneil Railway in July. Tickets sell out fast, so get on it! 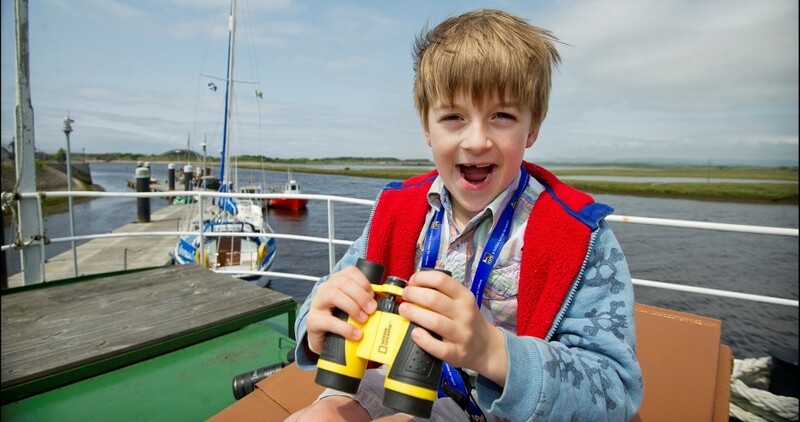 The Scottish Fisheries Museum is continuing it’s fun archaeology workshops for kids – underwater in July! And there's a whole host of other activiites over the holidays, including pewter casting and Minecraft sessions. At National Mining Museum Scotland there's something on every week of the holidays, including Victorian Fun, Archaelology Workshops and cluminating in a Family Fun Day. #GoIndustrial for a riveting day out this summer!